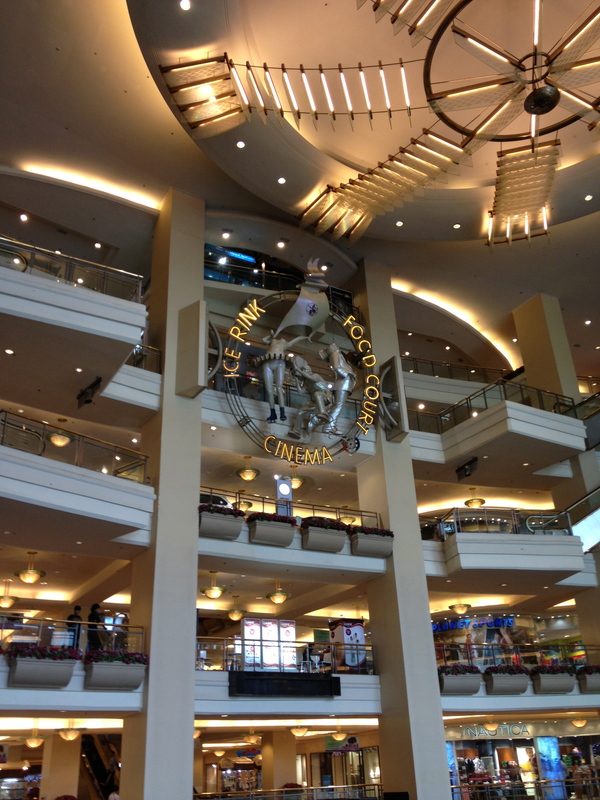 It has become our quest to find the perfect mall for us in Jakarta. It doesn’t have the be the fanciest or biggest one but one that when we visit it includes a decent lunch, a wonderful dessert, room for the boys to run around, limited crowds and a little bit of shopping. Our project manager’s (the hubby’s) task is to determine a mission, a deadline and a plan of action. Me and the boys are the executing partners and final judges of the mission. Our latest pilgrimage was to the western end of Jakarta to the Taman Anggrek complex. In all honesty we were actually trying to get to the Central Park mall but due to the heavy flooding the traffic was in a complete standstill and turning left was easier than traversing those last few hundred meters. When we were finally able to go in we were all impressed by the complex’s architecture. It was different and more friendly than what we have seen before. 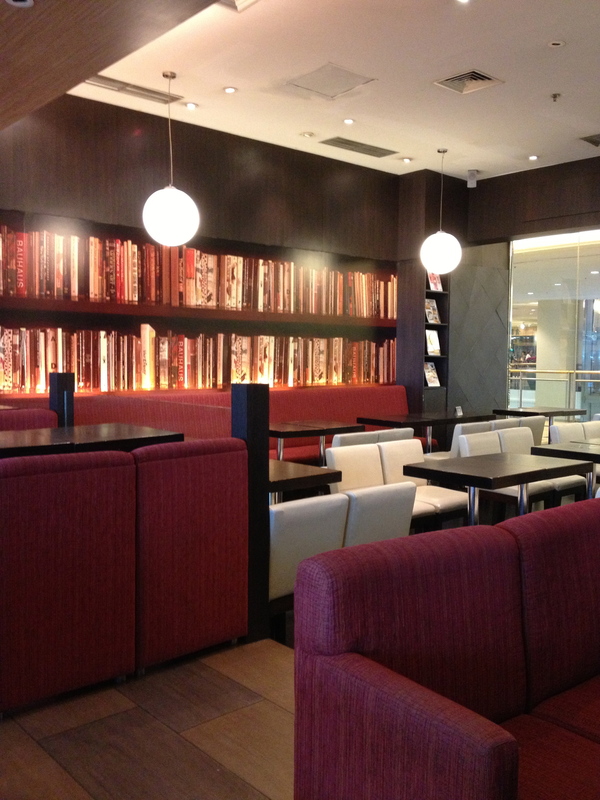 The open areas were very inviting and we started going up the escalators. When we reached the fourth floor we were greeted by a cool breeze. We eventually saw a skating rink and children taking ice-skating classes. We asked Evan if he wanted to go in but he adamantly refused to go in. He really doesn’t like to feel cold. After we walked around for a few minutes I started getting restless and thinking about going back home. It was just another mall after all. Then I thought about the traffic and reluctantly continued to browse the floors of the mall. When we ascended to the top floor, I saw it. It was like a little piece of paradise in the form of dessert in the midst of the Jakartan swamps. It was there, I couldn’t believe it. Honeymoon Dessert, had a venue in Jakarta. 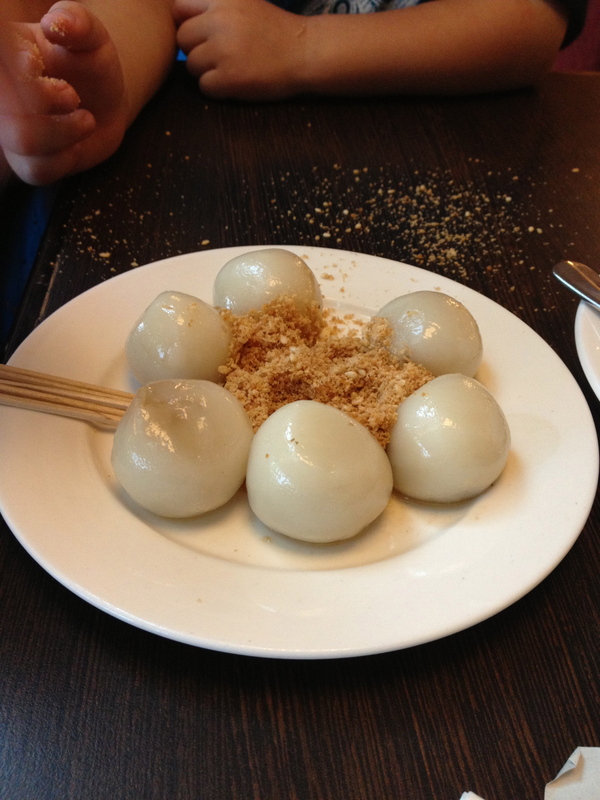 My first encounter with Honeymoon Dessert took place the first time we visited Singapore. It was love at first bite and I made it my task to visit it as many times as possible while we were there. When my dad came to visit us last summer we hopped over to Singapore and I imbued him in the fundamentals of bubble tea and Asian desserts. So, what is the excitement all about? You see, the first time I had rice as a dessert while we lived in Bangkok my eyes and taste buds opened up to an experience unbeknownst to me. In Mexico rice and beans are prominent in almost every meal but never for dessert except for the unique Arroz con Leche. So after my first hesitant attempt to savor sticky rice with mango I was in love and willing to try anything the Asian dessert-sphere had to offer. 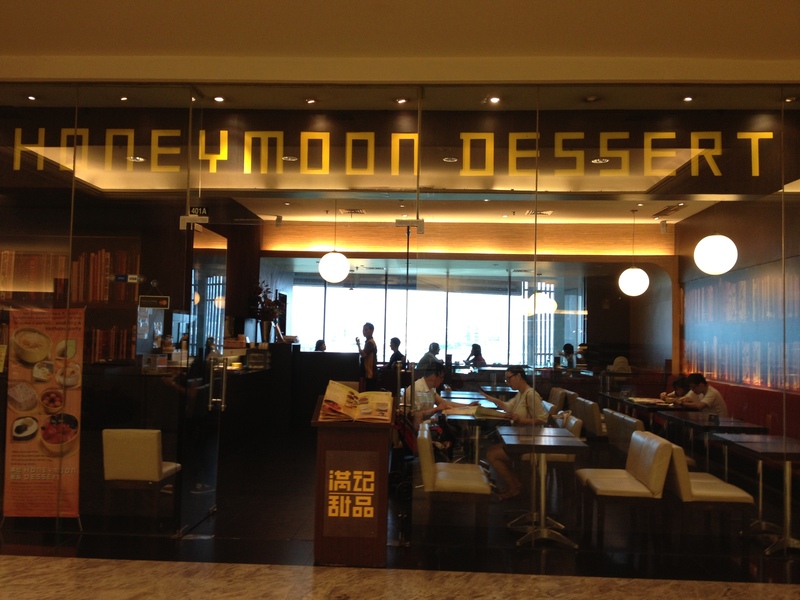 Honeymoon Dessert is a franchise originally from Hong Kong with shops all over Asia. They serve everything from black sticky rice with fruit to sago, barley and other kinds of grains with different sauces and sticky rice balls filled with different flavors. When we got there we were offered a seat by the window and we started drooling over the menu. My sister was visiting and she isn’t into Asian dessert flavors but we used her as an excuse to get three different desserts. I ordered pearl sago with mango over a mango sauce. It was delicious. 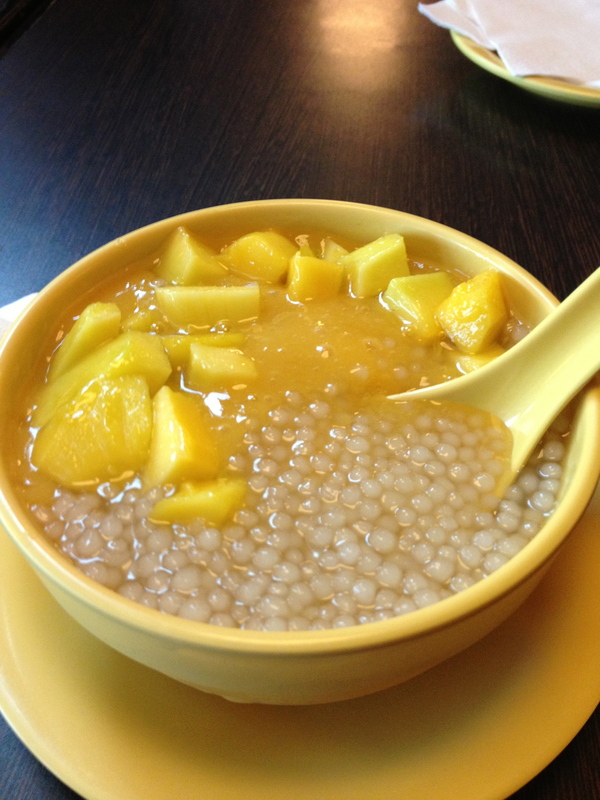 The chewy sago pearls have a great consistency and the mango was very sweet and fresh. We shared the black sticky rice with mango over vanilla sauce which was succulent. The vanilla sauce wasn’t too sweet and the shaved ice complemented it perfectly. 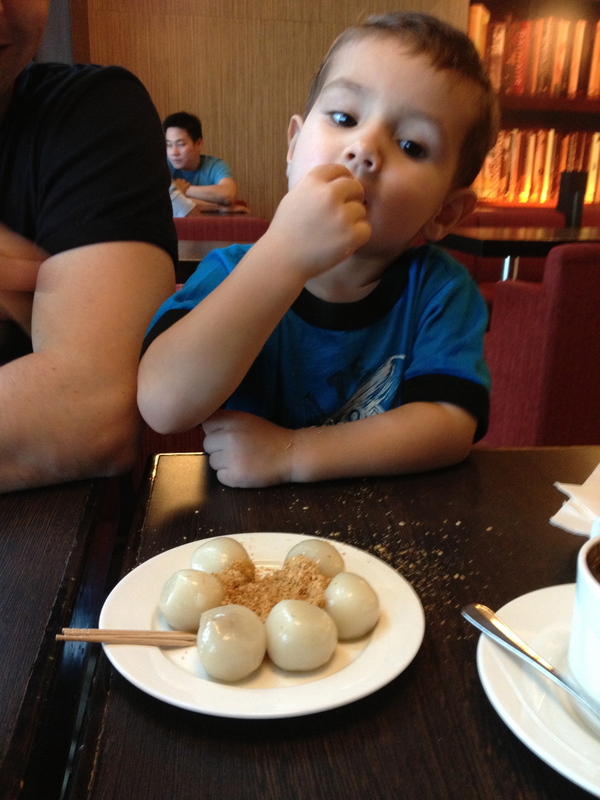 My hubby, apparently advised by the very savvy toddler, ordered glutinous rice balls filled with sesame paste. I had a bite and it was delicious. It had a lot of depth of flavors and the chewy exterior neutralized the strong flavors inside. 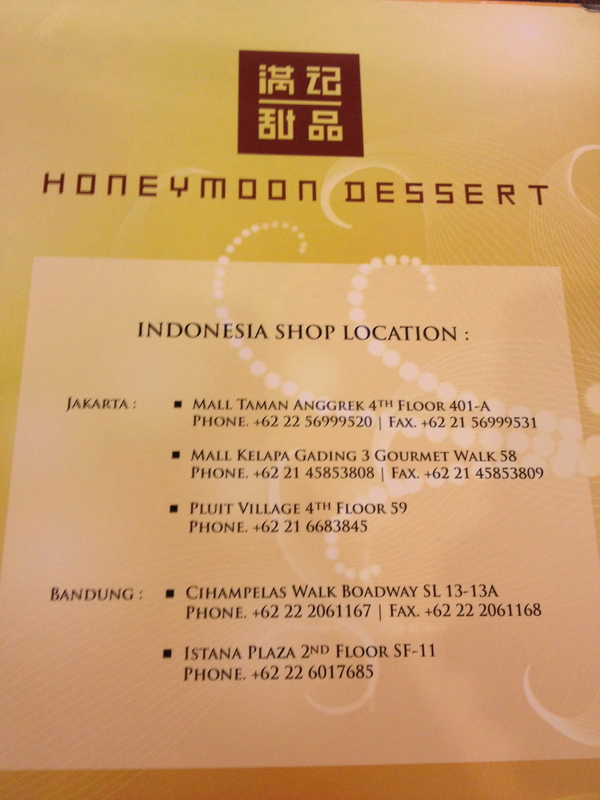 If you are in west Jakarta, or even if you aren’t Honeymoon Dessert is a place worth trying. Your taste buds will appreciate it and so will your culinary intellect. After all, when in Jakarta, do as the Jakartans and have rice and beans for dessert. Hi Sharon. What kind of food is it? I love trying new places so I will have to do that next time we venture to the West! Thanks for the reccomendation! 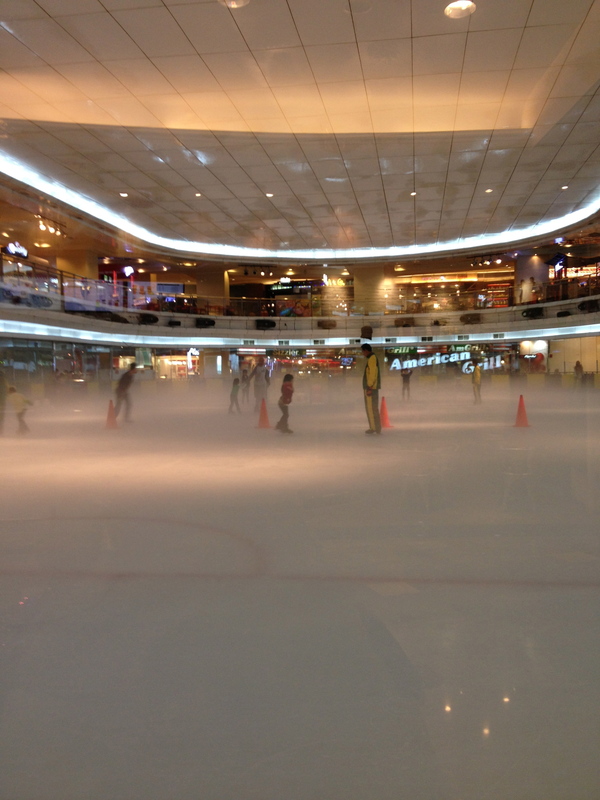 I haven’t been to Taman Anggrek, but I have heard about it from my friend especially about the ice skating rink! 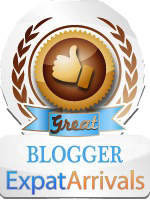 It’s great that you’re always exploring!!! I also love that you introduce your kids to many different kinds of food!! Honeymoon Dessert looks great! Taman Anggrek isn’t as majestic as the other glitzy malls but it’s very visitor friendly. Although it didn’t have as many stores as the others it was nice to walk around. 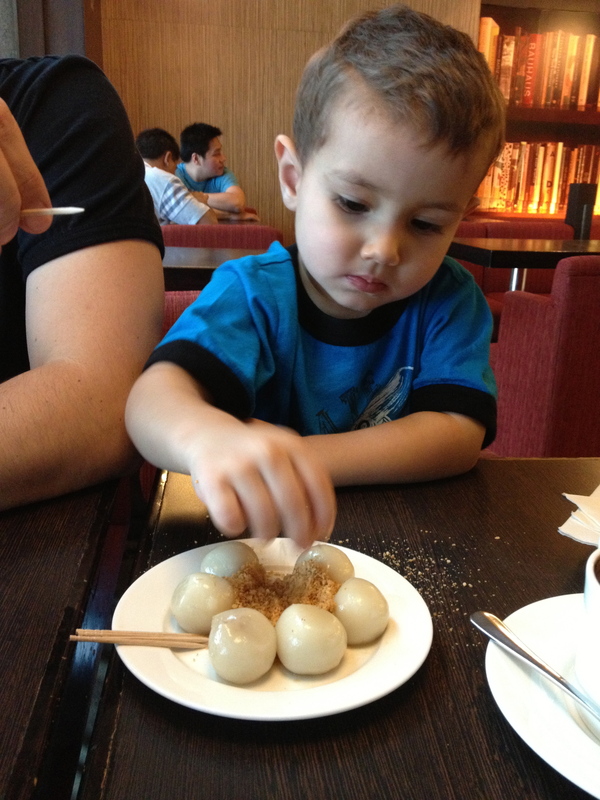 Evan will try anything and everything, although he doesn’t always like what he tastes :P.
Me toooo!!!! 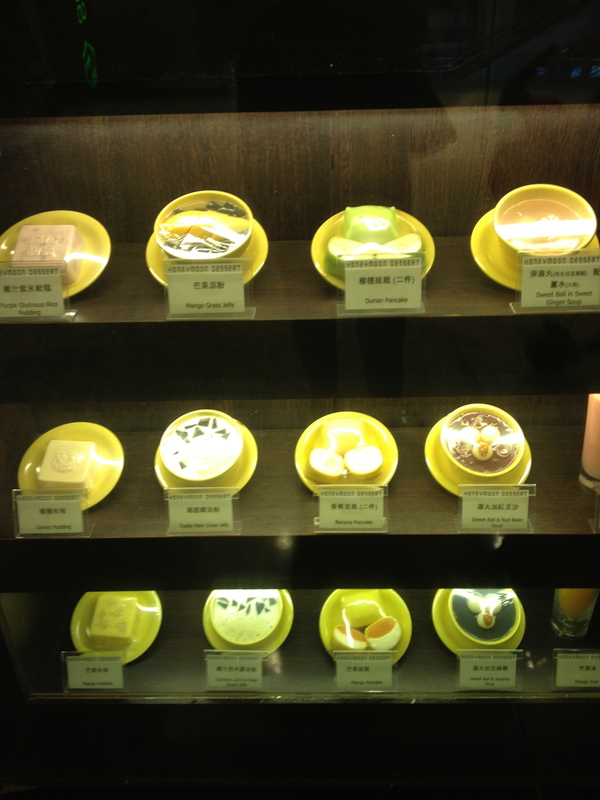 =) Let’s go to honeymoon dessert some time!